Are you nervous to use apps on your iPhone or Android while traveling abroad? Do you fear that you will incur roaming fees or eat up your data plan? This is an understandable fear and in the case of mTrip, it isn’t a problem! I’m no different than you in that I would never use an app while abroad if I thought it would charge me extra fees. Go to the ‘Guide’ tab > go to any place in the guide (attraction, hotel, bar, etc…) > tap on the ‘Postcard’ icon in the bottom right corner and voila! We’ve just made updates to mTrip, allowing you to send your reviews & ratings via Facebook and share with your friends. You can save them as pending & just wait for WIFI to avoid fees from your data plan. 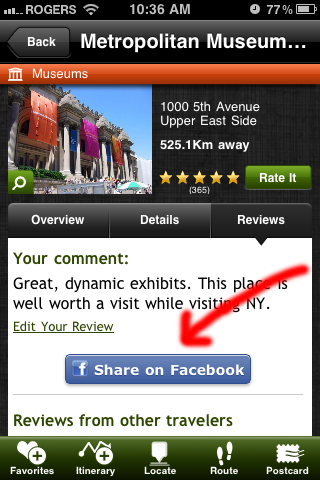 As before, you can share your reviews with other travelers inside the mTrip app. As an app developer, especially in travel we try to be creative in offering our users an experience that is Offline yet still allows travelers to do the interesting things that are only available online. This is where syncing updates and sharing on social networks and email come into play. To send the postcards or share reviews/tips, you just want to wait for a WIFI connection to sync the updates. 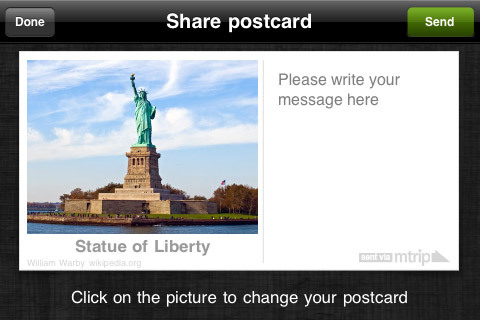 In other words, if I create a postcard, I will wait until I arrive back at my hotel, a cafe with free WIFI or home to send the postcards by Facebook or email. They will be waiting for me in the mTrip share tab. Using mTrip’s postcard sharing feature saves me the task of finding postcards and stamps and sending them by snail mail. Instead, I can share the pictures along my journey so my friends and family can see what I’m doing at that moment, as opposed to much later when I have already left that location. We hope you enjoy the sharing features! If you have any questions, please leave them in the comments. Roam large with no roaming charge! 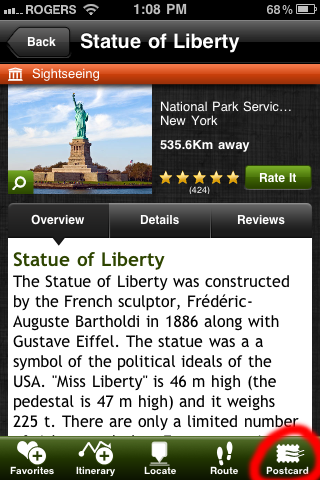 Download the iPhone & Android travel apps here!